The Quantum™ brand Q-Flashes with an X in the Part number are designed to run from a Pack like the Lumedyne brand. In order to plug in their black four pin plug into the Lumedyne metal six pin socket, then you need an adapter like this one. It's true that Quantum™ also sells their own version of this adapter cable, however, we use a better strain relief system that helps prevent clamping the cable into a short circuit and perhaps damaging some electronics. The Quantum™ Q-Flash "X" series are a very capable flash head series with many useful features. While we respect that, the Lumedyne Power Packs are unrivaled in their recycle speed and power for dollar comparisons to the Quantum™ Q-Pak™ packs. 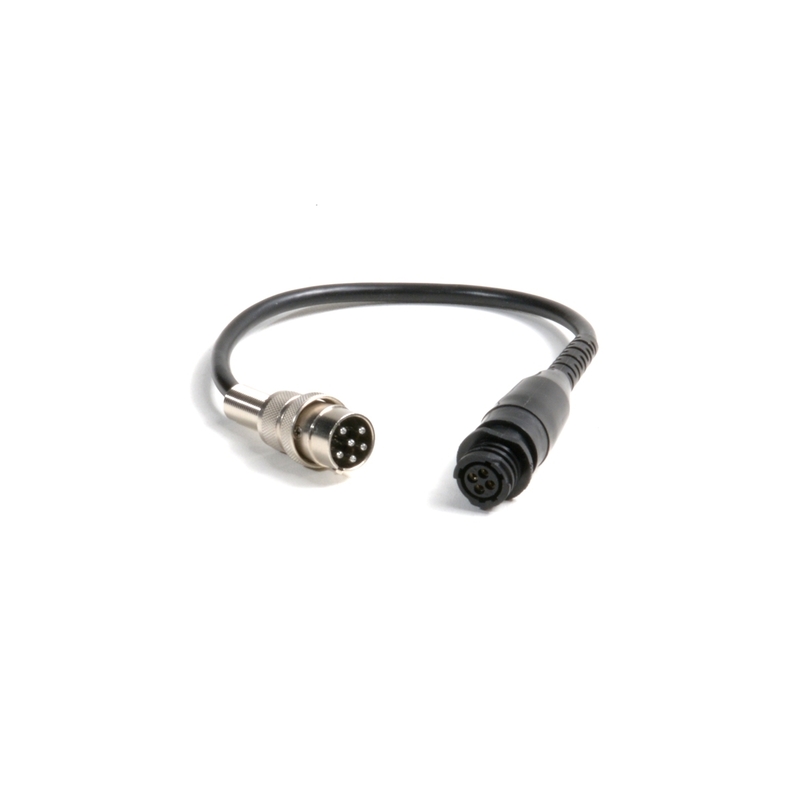 Using this HAQQ Adpter Cable allows you to plug the Q-Flash X series heads into many of the Lumedyne Packs. The Q-Flashes with a "T" in the part number do not work with the Pack system but can be powered very well from the Lumedyne high voltage Cyclers. As for this adapter, it should never be used with a #068 660ws Pack, and it should Never be used with any Action Pack P2XX or P4XX. The HAQQ does directly adapt the QFX heads to the classic Lumedynes like the #065, #065X, #067X and the Next Generation Packs like the P2NX and P4NX. And while the Quadramatic Power Pack P4QX from Lumedyne has one of the Quantum style QFX connectors right on the front of the Pack, a second QFX Head can be used with the Lumedyne outlet if this adpater is used. If you wish to use the QFX Heads with the Signature Series Packs, a modification inside the Power Pack must be made to give you a full power output on one of the head jacks and most people then have that head jack adapted to the Quantum four pin style directly. Otherwise with this adapter, after the Pack's "full power Quantum" modification could be used with the Lumedyne style socket.